City Council President Ben Stuckart won the endorsements of even some business groups, like the Spokane Home Builders, that often disagree with his policies. City Council President Ben Stuckart walks into David's Pizza tonight, 15 minutes late to a smattering of applause. Within moments, he's shaking hands and hugging supporters. To say Stuckart is nervous is an understatement. “I feel like vomiting honestly,” Stuckart says. “All day people have been congratulating me, but it's not a sure thing." The magic number Stuckart needs is five. Five allies to override the mayor's veto. And ever since the conservative-leaning Councilman Steve Salvatori left and Stuckart replaced him with liberal-leaning Karen Stratton last August, he's had the numbers. But a lot can change in an election. There were four seats up for grabs in this election, including Stuckart's. "Oh yeah, baby!" Stuckart says as he reads that he got almost two-thirds of the vote against John Ahern. Still, his hands are shaking as he reads the rest of the results. "We got it," Stuckart says. Five was the magic number. Looks like he got six. Let the 8th Man protesters complain and call him names. For the next two years, at least, Stuckart and his allies have the power to make policy. Like, say, requiring certain local businesses to offer sick leave. "This isn't about the individual candidates," Stuckart says. "This is about all of us sharing the same values and ideals for what we want Spokane to be. I am excited to serve the citizens for another four years. And I'm excited that Spokane is moving in the right direction and we're going to continue moving it that way." Despite being routed by Jon Snyder in a 2013 race for city council, John Ahern was the only opponent of Council President Ben Stuckart, a hard-charging former director of a nonprofit who has brought an ambitious agenda to the council. Ahern, a former Republican state representative, based his campaign on rescuing the city’s business climate from what he characterizes as Stuckart’s plan to transform Spokane into another Seattle. The 80-year-old Ahern made a priority of out repealing Spokane’s so-called “sanctuary city” ordinance, which restricts when and how city employees can inquire into people’s immigration status, saying that it invites criminals and terrorists and scares off business. 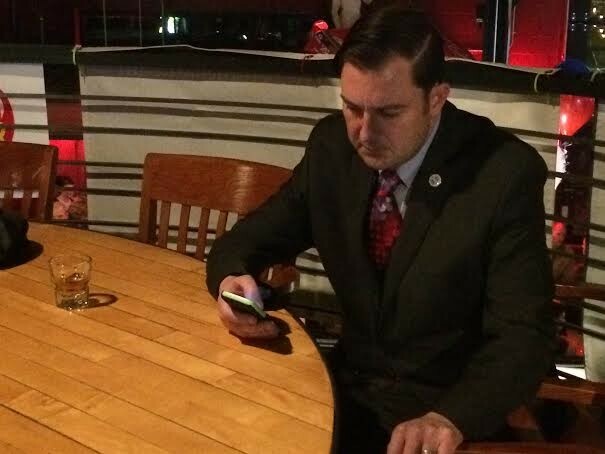 Ben Stuckart was nervous before the results came in. He needn't have been. Ahern insisted that Stuckart intended to introduce a $15-an-hour minimum wage ordinance, which Stuckart has repeatedly denied. Ahern also took issue Stuckart’s proposed paid sick leave ordinance. It was a bad sign for Ahern, then, that business lobbying groups like the Spokane Home Builders Association and the Spokane Association of Realtors chose to endorse Stuckart instead. Stuckart, meanwhile, highlighted how productive he’s been, sponsoring more than 70 ordinances aimed at making Spokane a place people will want to live in and invest in. Early on, many had presumed Stuckart would decide to challenge Mayor David Condon in this election, but instead decided to stick with the council. Nevertheless, political observers have suggested Stuckart will eye the mayor's office in four years, when Condon is forced out by term limits. Asked about the mayoral position on election night, Stuckart kept the door open. "You never know what's next," he said. For years she waited with a front row seat, watching how the local sausage was made. She even helped make some of it, researching and drafting ordinances during her six years as a legislative aid to Spokane City Council members. Now that experience has paid off as Lori Kinnear appears headed for the second seat in District 2. A campaign driven by a focus on fully funding public safety and Smart Justice reforms propelled Kinnear to a 6-point early lead. Although the local business woman and City Hall insider vying for the District 2 seat brought different experiences and skill sets to the table, both focused on public safety and crime as major issues in their respective campaigns. Kinnear said there needed to be a mechanism to replace a police ombudsman immediately and that it was a city issue, not just a council issue. She argued that the council needed to work with the administration to accomplish this. Biel’s No. 1 priority was to bring the city council “back to the basics” of what local government is supposed to do. She pointed to the paid sick leave ordinance as an example of the council’s overreach. Biel said her experience running a small local business was missing among current council members. But the preliminary results suggests that, when it came down to voters, they preferred what Kinnear could bring to the council dais. Councilman Mike Fagan has been a consistent "no" vote on city council, often casting the sole dissenting vote on issues where there is otherwise a consensus. He's also made controversial comments regarding vaccines and immigrants, but is known for being especially responsive to constituents, even if they don't always share his politics. But his opponents hoped that Randy Ramos, a first-time candidate who has been recognized for his community service, would be able to unseat Fagan. However, the untested Ramos, who based his campaign on helping the city's vulnerable, made early stumbles; he voted for the first time only this year and failed to disclose a 2009 DUI. He also almost lost the primary to another candidate who raised no money and effectively quit campaigning. Fagan won. But as the sole remaining conservative on the council, he's the lone survivor. The District 1 council race was marked by both candidates insisting their opponents are proxies for the council president and mayor, respectively, and both denying it. Last year, Karen Stratton, who spent a decade working for city government (including for two mayors), was appointed to finish the term of Steve Salvatori, who resigned early. Evan Verduin, the owner of an architectural design firm who has never held elected office, said during the campaign that council had been distracted with too many divisive social issues that were beyond its purview and argued that Stratton had voted in near lockstep with the council’s so-called liberal veto-proof majority. Condon had backed Verduin, arguing that the council could use the perspective of a small business owner raising a family. But Stratton had the backing of unions, including those representing firefighters and municipal workers. She called the mayor's involvement in the race unprecedented and defended her votes for jobs, human services and other measures that she says have helped her district. 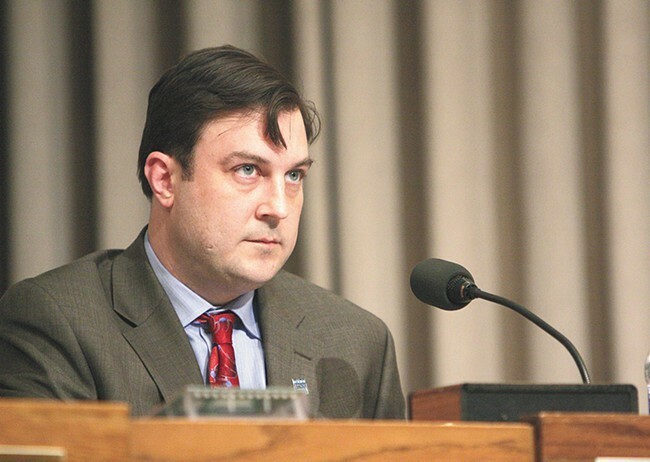 Council President Ben Stuckart has been an ally of Stratton, though her reluctance to support his proposed sick-leave ordinance had derailed a key goal of Stuckart. But Stratton's 10-point early lead, and the victory for the other incumbents, suggests that voters don't have much to complain about with the direction of the current council. Councilman Mike Fagan is often the only "no" vote on an issue. But is that a reason to say "yes" to Randy Ramos?